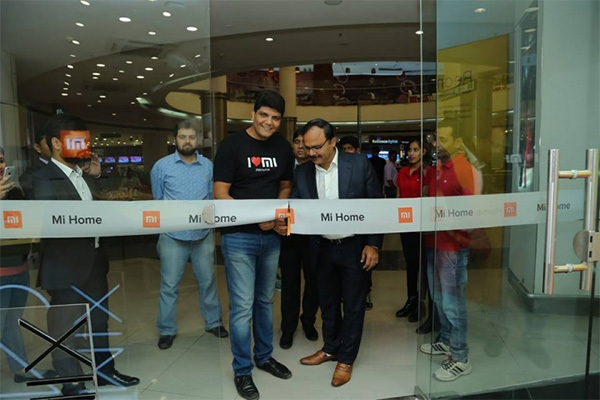 MiHome continues to expand in India as promised by the Xiaomi team in India. Today two new Mihome were opened in this country. I’m looking at this photo and I see more than a new location. I see a huge desire to be in the Xiaomi team. This is true. Things can change the world faster than big things. A high-quality smart product that can not generate emotions is a lower-quality product. A product of superior quality has to generate emotions. We need feelings. Feelings in a world dominated by technology. Missing VIPs. There are few people. Certainly some of them are employees of the new location. But look carefully and you will understand what I now want to say. “Where should we open the next #MiHome?” ask Manu Kumar Jain. Where should we open the next MiHome? In Mumbai, Delhi, Chennai or in Hyderabad? It’s me when I see the first MiHome mobile. An establishment to move away from major shopping centers. A unit to travel through India. To reach regions where purchasing power is lower. Let us remember that Mi’s offer in this country is based on average products. It also contains premium products, but the best-selling units are the average according to the sales reports. And in the small towns there are Xiaomi fans. I’m curious to see to what extent Xiaomi will move away from potentially high areas and head to disadvantaged areas.